It may not be that often, but there will be times when you need to mirror or cast your Android screen to your computer. There may be several reasons for this like wanting to record your screen, play android games on your PC, watch movies or videos on a bigger screen, or even giving a presentation of an app or a document directly from your Android device. 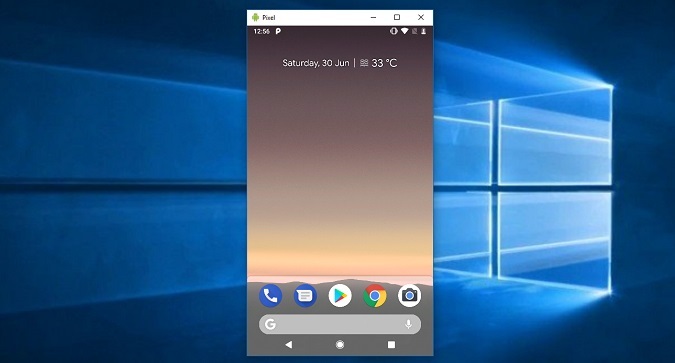 No matter what the reason is, it is relatively easy to cast your android screen to PC regardless of whether your android device is rooted or not. In case you are wondering, here are a few such apps that let you mirror or cast your Android screen on PC. All apps come with a free version, do not require ROOT and works with both PC and MAC OS (except the #2 app). None of the screen mirroring apps will let you play high-end motion games on your computer screen. Doesn’t matter whether it works on USB or Wi-Fi. We tested dozens of apps for this post, and they all have some sought of lag in it. the only thing that worked was chromecast. But for basic screencasting needs like presentation or app demo, these apps should work fine. Vysor is a relatively new app to quickly mirror, cast or even control your Android device from the PC or Mac. 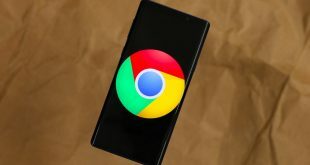 Unlike the other apps, Vysor uses a Chrome app to cast your Android device to the computer. 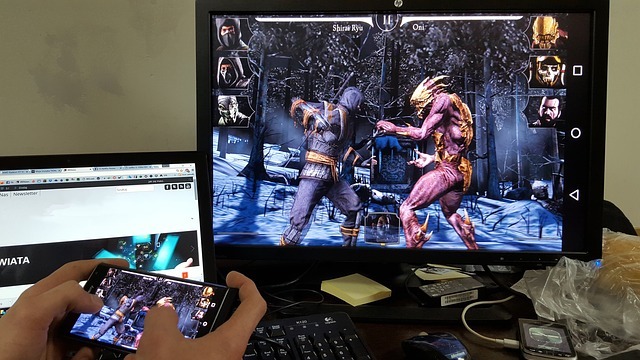 Some of the features of Vysor include but not limited to mirroring the Android screen to the computer, ability to take screenshots, ability to control your Android device with keyboard and mouse, etc. How it works: Gettings started with Vysor is simple. 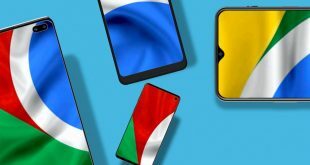 Just head over to the official site, install Vysor Chrome app, install Vysor app on your Android device, connect your device to the computer via USB and launch the Vysor app in Chrome. That’s it; you are successfully casting your Android screen on your computer. Pros: Quick to Setup and easy to use. Let’s you control your Android screen from the computer. Cons: The free version works with USB cable only, no WiFi support. Though there is no watermark, it shows video ads every 30 minutes or so. Bottom Line: The free version of Vysor is limited in features but should be good enough if you are comfortable using a USB cable to connect your Android and Computer. Even though the app is stable, we won’t recommend it for USB connection since there are better options available. If you are using a Miracast capable Windows 10 computer with the Aniversary update, then you don’t have to use any third-party apps to cast the Android screen to your computer. You can use the built-in WiFi direct option. Kind of like, how you connect your Android with chromecast on your TV. How it works: Just search for and launch the “Connect” app from Windows 10 start menu. Now, bring down the notification center on your Android device and select the option “Cast.” In some devices, you can find it in Settings > Display > scroll down to the bottom till you see Cast option. You will see a list of all the devices that you can cast your Android device. In case, you don’t, tap on three vertical dots at the top right and select Enable Wireless Display option. Next, select your PC from the list, and you are good to go. Cons: Only available on computers running Windows 10 Aniversary update. And in our testing, most Android phones do not have Enable Wireless display option in the cast settings. So, it’s less likely it’ll work for you as well. Most Android phone supports Miracast, but OEM like Google disabled it. Why? Well, since it’s direct competition to Google Chromecast. Yes, you can enable it by rooting your Android, changing the prop build. Which we did, but even after that, it didn’t work properly. Bottom Line: Of course, the Connect app in Windows 10 is pretty limited, and you cannot control your device from the app. However, if you are simply looking to watch some movies, pictures or give presentations, then the built-in Connect app in Windows 10 is not bad. If it works, it worked well. But for most of us, there will be no option to cast screen. Mobizen is one of the complete apps that not only cast your Android device to a computer but also lets you record the screen, control, take screenshots, and play media directly from your browser or a standalone software on your PC. This app is just like Vysor but better as it lets you remotely control your device by connecting it via the USB cable, over a WiFi network and even over your mobile data. How it works: Install the Mobizen app on your Android and create a free account. Now go their official website from your computer, log in with the same credentials, in the next screen you’ll see six digit OTP, type that code in your Mobizen Android app and that’s it. Pros: Support mirroring over WiFi and mobile data, even in the free version. It also works directly on the browser, no need to install any app on the computer. Cons: The free version comes with a watermark. Bottom Line: If you are looking to play games or give interactive presentations from your Android mobile, then Mobizen is for you. The good thing about this app is that it even lets you share files between your Android device and PC just by dragging and dropping. Surprising this app is made by the same developer i.e. ClockworkMod who made the Vysor app, the first app in this list. So, this one of the lightweight apps that let you easily cast your android screen to computer without any messy configurations. 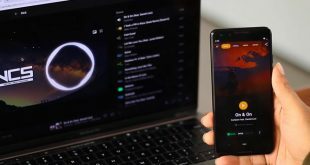 How it works: Install Screen Recording and Mirror on your Android smartphone or tablet, next install the AllCast Receiver Chrome app on your computer and launch it. Now, open their Android app, it’ll auto-detect All cast receiver is running on the same network. Tap on that, and it’ll start mirroring the Android screen on the chrome app of your computer. If your All Cast received do not get detected on Windows, then make sure to disable your Windows firewall or make an exception rule. On MacOS, it should work flawlessly. Pros: The app can not only cast your Android screen to the computer but can also cast it to Fire TV, Apple TV and even supports Android to Android casting via the AllCast Receiver app from Play Store. Moreover, as you can tell from the name itself, the app supports screen recording and also lets you create GIFs from the screen recordings. Cons: Watermarks and Advertisement in the free version. Bottom Line: Good app if you can live up to the watermark. Useful, if you want to cast your Android screen on Apple or Fire TV or even on other Android devices. Overall, not worth it, since there are better options available. Screen Stream Mirroring Free is the best app that mirrors or casts your android screen to Computer over WiFi. Though, it’ll only work if both- the computer and Android is on the same WiFi network. No support for mobile data or USB. The app free (ad supported) and there is no onscreen watermark. Other than the option to cast screen on a web browser, you can also cast it on VLC media player and Kodi, etc. That being said, if you are looking for a no-nonsense app that just works, try it out. How it works: Install Screen Stream Mirroring app on your Android smartphone or tablet and open it. Next tap on the three horizontal lines on the top left to bring up the streaming options and then tap on Web Browser option. It’ll give you IP address, enter that in your web browser and screencasting will start. Pros: No on-screen watermark, works on every OS having a web browser or VLC installed. Also, comes with a screen recorder. We also notice that it can stream audio from internal mic, though the quality was not useable. Cons: Intrusive video Ads and time limit for casting, though the later one can be removed by watching some video ads. Bottom Line: Simple screencasting app with no watermark and comes with all the feature you’ll need. Since it works on the browser, you don’t have to configure your firewall settings like you have to do in All cast. Still, it has intrusive ads in the free version, that we can’t recommend this app. It’s relative new app. And unlike all the other apps on this list, Apowermirror not just only let you cast your Android screen on your PC, but you completely control your Android smartphone from your computer. No Root require. How it works: Install ApowerMirror – Mirror&Control app on your Android smartphone or tablet and open it. Next, install Apowermirror PC suite on your PC. Now, open both software and connect your Android to your PC with a USB cable and follow the instruction. You will have to enable USB Debugging from Developer settings. Pros: No on-screen watermark. Let’s you completely control your Android screen from PC. And gives you advance options like screenshots and recording etc. Cons: There app forces you to create a free account to use more features. And after 3 days of creating your account, the app will force you to pay $29.95/year to use all features, that include screencasting as well. The app also works on Wi-Fi, but that is not reliable. Check out the comparison table here. Bottom Line: Decent screencasting app with no watermark and many useful features. Still, it comes with a price and that price is too high, so we can’t recommend this app. But we do use the free version, with its screenshot features. This one is the best way to cast your Android screen to any computer. Why? Well, until all the method we have seen are either paid, have intrusive ads, or doesn’t work reliably. But Airdroid changes all that. How it works: Not many people know, you can use it for casting Android for screencasting. Since this feature is hidden in the UI. So, here is how it works, download the Airdroid app from Google Play Store and open it. Now, you can either create a new account or do tap on Not now. The app will give you an IP address, type that in your computer browser and you should see the Airdroid web UI. Next, click on the screenshot icon and you’ll see you Android screen. There is also a full-screen option. Watch the following video, for step by step instructions on how to use Airdroid to mirror your Android screen. Pros: It’s free, works on every platform and there are no intrusives ads or big watermark on the screen. In fact, it can work wirelessly even without WiFi, which no other apps in this list can do. Cons: You can not use Airdroid screen mirroring feature to high-end motion play games on your computer. But this is something, you can only do with Chromecast. No screen-casting app have enough latency to that will let you play games. Bottom Line: Hands down the best solution for screencasting. Finally, you can use the good old Teamview app to cast your Android screen on your computer. Just like Airdroid, it’s free, works on every platform and has no annoying ads. How it works: Simply download TeamViewer Host on your Android and login or create a nTeamViewerwer account. This will assign the Android device to your list of TeamViewer device. Next, on your computer go to login.teamviewer.com and sign in to same TeamViewer account. You’ll see the Android device there, click on the connect option next to it. This will launch the Teamviewer app on your computer and you are ready to cast your screen. To see the full step by step by guide on setting up Teamviewer for screen mirror, click here. Cons: No such cons as it better than all the available option in this list. Scrcpy is a new kid on the block that not only lets you mirror your Android screen on the computer but also lets you control it. There are 3 things that separate Scrcpy from all the other apps in the list. Open up a command prompt or terminal inside C:\adb, and enter scrcpy. That’s it! Pros: It is a free (no ads) and open source app, works on Windows, macOS, and Linux, low latency. and best of all control your smartphone with no computer’s keyboard and mouse. Cons: Hard to set up for non-geeks, requires USB connection to work. Bottom Line: If you often use your smartphone along with the side of your computer and are familiar with adb commands then Scrcpy is the best option for you. Compared to all the other method, this was was the fastest with no lag. Hope that helps and if you think I missed any of the apps that you like then do comment below sharing your favorite apps to mirror Android screen to the computer.